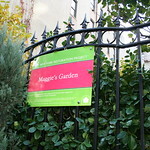 Maggie’s Garden was restored in 2002 from a lot overgrown with weeds and invasive plants and cracking asphalt. 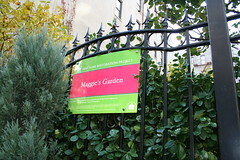 Now, the garden – funded by The Brownstone Family Foundation – has more than 30 members and continues to grow. The garden has installed a fast acting compost tumbler to expand the existing composting program and involve more community residents. Winner of Manhattan SWAB 2012 Composting Grant Award.